As the authority in metal roof replacement and slate roof repair in Alexandria, VA, Lyons Contracting explains why metal roofing is a smart choice to improve your home’s energy performance. Unpainted or not, a cool metal roof absorbs far less infrared radiation compared to other materials. It either has a granular-coated surface or an oven-baked finish to make a huge amount of sunlight heat bounce back where it came from. In light of this, your home would barely heat up even during oppressive weather. And because only a fraction of the sun’s total heat energy would enter your home, you could ease your cooling loads during the hottest months of the year. If your home quickly gets too hot when the sun is intense, a metal roof replacement in Fairfax, VA, is a worthwhile investment. 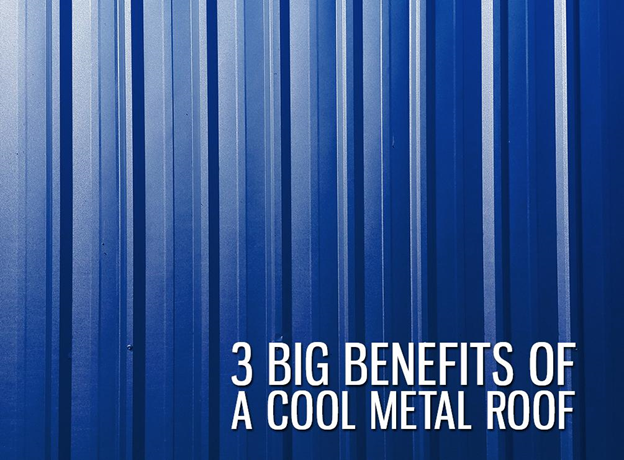 Did you know that having a metal roof naturally makes your surroundings cooler? Yes, a cool metal roof can help mitigate the urban heat island effect, a phenomenon caused by heat-absorbing surfaces. In some cities, the local temperature increases up to 12°F due to the hot air blowing through heat-absorbing roofs and pavements. If all homes in your neighborhood install a cool roof, your outdoor climate would be generally pleasant. Natural wear and tear is one of the reasons any type of roofing in Alexandria, VA, underperforms, and heat is among the main culprits. Absorbing too much heat can shorten any roof’s life, causing it to fare badly in every area. Cool metal roofs don’t wear down to heat as easily as other roofing systems. As they normally last about 30 to 40 years, the sun would hardly be a factor to your metal roof’s performance throughout its lifespan. Harness the many benefits of cool metal roofing with Lyons Contracting. Call us now at (703) 457-6560, and let’s get your project started.